That’s what my PGS told me overnight. It’s what I am – a writer – a communicator, and a facilitator. This blog facilitates discussion that you often initiate, or contribute to, that allows us all to see the world in a different way. I’m very privileged to have this venue, and to have you all as teachers – because that’s what happens here for me. I learn from you. My wife once described me as being like a person with a loaded trolly in a supermarket – but the trolley has one bad wheel, and as I head to the checkout, I keep bumping into the aisles and crashing into groceries that tumble to the floor. That’s how I go through life, she said. Witness the burning dwarf episode. My wife goes through life like that white swan I saw on the creek in front of the Samos monastery. 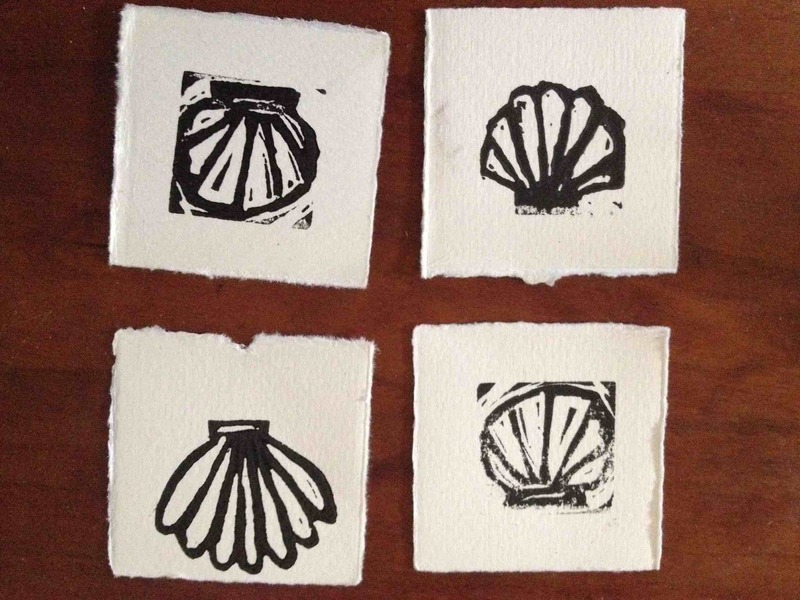 Here’s what I’d like to do though – when appropriate I’d like to discuss the spirit of the Camino, which means those things in life that I believe are relevant to the spirit of a pilgrim, or a pilgrimage, in all its various facets. Sometimes I feel I have to keep on point and always discuss the Camino – but now having finished my book, I feel as though I’ve said pretty much all I can say about that particular walk, and that period of my life. The book, to an extent, has given me much needed closure. Also, I’m very aware that I’ve just done one Camino so I’m by no means an expert – I’ve only ever tried to document my experiences – not set myself up as a Camino guru. Because I’m not. I’d like to thank those of you who have posted urging me to continue. I won’t respond personally – but just to say that I very much appreciate all those very kind comments. Those of you who told me to let go the rope – well said! I’m conscious that this blog serves multiple functions – yes it’s a platform for me to express my views, but perhaps more importantly it’s now a community, and I feel a very real sense of responsibility to the “family” that’s developed here. I regard you all as very dear friends – and I feel now that I know you all. I can’t walk away from that. As well though, as I say I’m a facilitator – this blog acts as a conduit for linkages and the forming of bonds and relationships between people that have nothing to do with me. All I do in those instances is provide the venue, which is great. I love that. I love seeing PGS people meet up on the Camino, and feel like they know each other, just from having been a part of this blog. Yes, today we’ll hit 100,000 page views. And we’ve now just tipped over the 8,000 comments mark. 8,000 comments in six months. That’s pretty incredible. That’s a testament to your loyalty to this blog, and for that I am deeply grateful. Out of those 8,000+ comments, I’ve had just one nasty one. Peter, last night. Perhaps given the sometimes provocative nature of this blog, that’s not a bad record. and it was a wonderful guest blog you did too!! Well I’m not sure if I’ve got guts, or I’m just really really stupid sometimes Britta! I should have listened to you and Jenny that night at the Camino dinner and not posted that burning dwarf piece!! But thank you for saying that – and yes, I’ll keep on posting because I guess I do have things to say – but so too do you and others, which is what makes this blog so interesting I think. I believe the real meat-and-potatoes in this blog is in the comments, not necessarily in what I post. Kathryn – you’re damn right! It is very much like the Camino in that respect. I hadn’t thought of it that way, but yes, you’re right. I would love it if you could “facilitate” something: I too am a camino junkie, and I need to read current blogs, so that I can return to the Camino every day. I wonder if there is a way for you to list current blogs: perhaps down the margin or somewhere obvious. I have found some in the comments, but with the author’s permission, blogs could be made more obvious and accessible. I’d love to do that, but quite frankly I don’t read other people’s blogs, other than the PGS people who are currently walking the Camino. Also, I don’t have the time. My work commitments, and this blog, occupy most of my day!